Available Space | Terrence J. Rose, Inc.
I-580 frontage! Ample parking 4.4/1000, one mile from the SF Premium Outlets. Neighboring tenants include: Carl’s Jr., 24 Hour Fitness, Starbucks, Pacific Service Credit Union, Extended Stay America & More! Office suite. Reception area, twelve (12) private offices, two (2) conference rooms, IT room, full kitchen/break-room, remainder open office. Kitty Hawk Rd., & Armstrong St. Available for Ground Lease. 1.94+/- Acres. I-580 Freeway Frontage! Permitted Uses Include: R&D, Hwy. Commercial, Hotel, Restaurant, Automotive, Office, and R&D. One mile from the SF Premium Outlets. 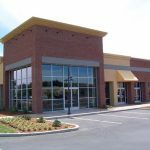 Neighboring tenants include: Carl’s Jr., 24 Hour Fitness, Starbucks, Pacific Service Credit Union, Extended Stay America & More! Available for Ground Lease. Hotel Site Entitled for 116 Rooms. CUP and City of Livermore Approved! 2.92+/- Acres. I-580 Freeway Frontage Site. One mile from the SF Premium Outlets. 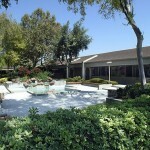 Neighboring tenants include: Restaurants, Gyms & More! 3375 Scott Blvd., Suite 338 1,354 sq. ft.
4 private offices, conference room and open area. 3375 Scott Blvd., Suite 230 1,393 sq. ft.
4 private offices, conference room, lab, kitchen, lobby, small open area. 3375 Scott Blvd., Suite 314 1,911 sq. ft.
4 private offices, open area, storage room. 3375 Scott Blvd., Suite 438 1,982 sq. ft.
4 private offices, conference room, lobby, kitchen, storage. 3375 Scott Blvd., Suite 139 2,164 sq. 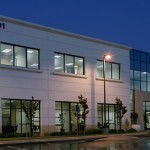 ft.
3 private offices, conference room, server room, lab, kitchen, private restrooms, open area. 4 private offices, conference room, open area. 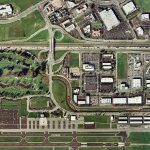 Santa Clara, CA 95054 4,800 sq. ft.
13 Private offices, server room, conference room, storage and open area.